Honda Activa 5G price in Lucknow starts from Rs. 54,368 (Ex-showroom). Activa 5G is available in only 2 variant. The top-end variant Honda Activa 5G DLX is priced at Rs. 55,892. Honda Activa 5G's top competitors are TVS Jupiter (price starting at Rs. 53,715 in Lucknow) and Suzuki Access 125 (price starting at Rs. 56,965 in Lucknow). Q. Any Ex-Change Offers available for Honda Activa 5G? Q. 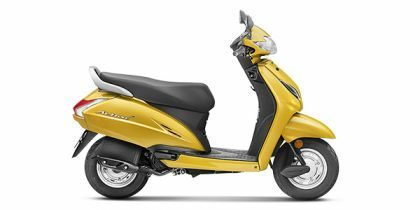 Is there any starting trouble in honda activa 5g? Q. Dio and Activa 5G which is better I confused the matter is mileage of Activa is 58kmpl and Dio is 55kmpl and price will be 2k low on Dio compaired to Activa 5G but Dio is full digital meter & Activa semi digital why not given Activa 5G full digital meter? Q. Please tell me Activa 5G STD and Deluxe comparison and Advantage and Disadvantage of both vechile what is the Accessories importance how much cost around in Maharashtra pune from authorized dealer.